Schaeffler offers high-quality services in the areas of balancing and aligning, lubricating and technical consultation. The range of offers when it comes to maintenance services is nothing less than impressive. Starting with the customer requirements, the Schaeffler experts devise a concept to meet the needs and assist in its implementation. Once a machine problem has been diagnosed, it should be eliminated as quickly as possible. Two of the most frequent problems ─ imbalance in pumps and fans as well as misalignment of machine components to each other ─ can be corrected directly by the Schaeffler experts. 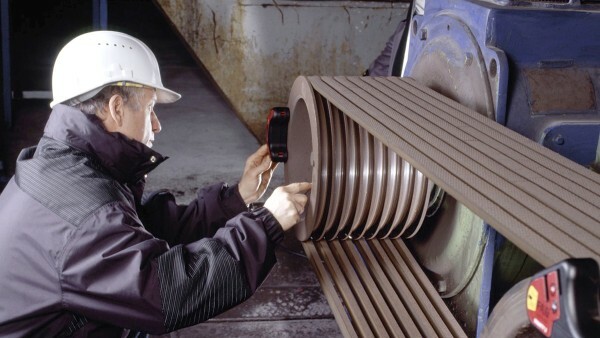 Imbalance is one of the most frequent defects that lead to unexpected failure of rotating machine elements. Correct balancing decisively increases the service life of rotating machine parts. This increases the productivity and availability of the machine. The Schaeffler experts reduce to a normal level the imbalance that occurs, for example, due to contamination, wear and repairs. They can detect and eliminate the causes on machinery operating at a speed of 40 rpm to 10,000 rpm. Typical examples of such machines include pumps, ventilators, compressors, turbines and motors. Schaeffler offers not only a detailed analysis of the causes of the problem, but also the elimination of imbalances. Many machines consist of different components, such as electric motors and pumps. After installation, repair or overhaul, the components of such plants must be aligned with each other. 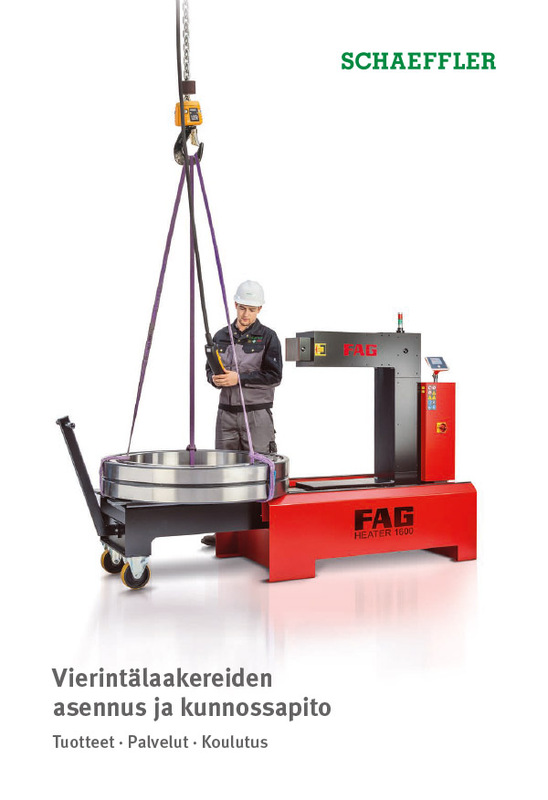 If this is carried out incorrectly or not at all, this results in high loads being placed on the bearings as well as increased energy demand and wear. In addition to laser alignment systems, Schaeffler offers the alignment of machinery as a service. Where necessary, the Schaeffler service technicians will take the necessary laser alignment system to the customer and carry out alignment of the machine in accordance with the manufacturer's specifications. The work is then documented. In more than half of all cases, inadequate lubrication is the cause of unplanned machine downtime. The life of rotating machine elements can be significantly extended by the use of greases appropriate to the different operating and environmental conditions as well as the definition of and adherence to lubrication intervals and quantities. 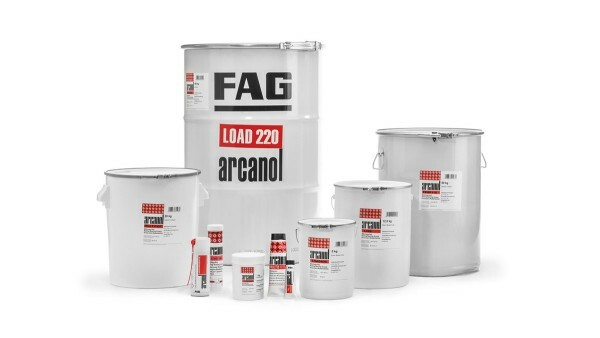 An extensive selection of high-quality Arcanol rolling bearing greases is available. 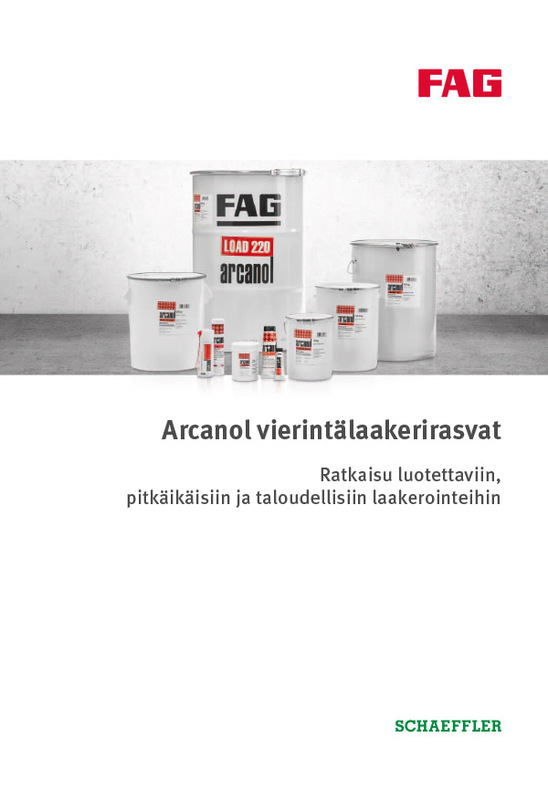 These greases were specially tested and selected for use in rolling bearings. Companies that wish to change to the concept of condition-based maintenance are supported by Schaeffler with training, attendance during the introductory phase, ongoing advice during the period of use and service contracts. With condition-oriented maintenance, machinery and plants no longer undergo maintenance work on the basis of failures or time schedules, but instead on their assessed condition. In partnership with the customer, the Schaeffler advisory experts prepare plans that offer recommendations for action on the basis of the results of condition monitoring. These recommendations result in targeted maintenance measures and reduced costs. Services are not "off-the-peg" products, and the requirements vary according to the machine and the knowledge on site. 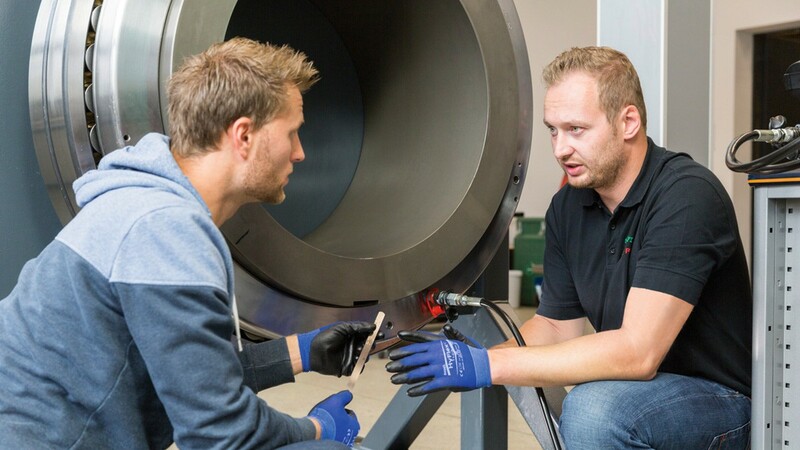 Due to the broad portfolio of Schaeffler services, local, certified Schaeffler employees can weave together the right package of training and services together with in-house activities. The scope is enormous and dependent on the prior knowledge and usable work capability as well as the requirements for monitoring quality.